Happy new year everyone! I am so excited and grateful to make it into the new year and I am sure that you are too! You may have noticed that my blog theme has changed and my blog is very empty. Lol, there's an explanation for that. In 2016, I was using a self hosted Wordpress site and wasting money on hosting. Well, not anymore. I have decided to try to get committed to this blogging thing first before spending money on it. So I switched to Google Blogger and I must say that I really have forgotten how hard it is to work with blogger! Kudos to the bloggers that have been using Blogger for over a year! Setting up the theme took forever and a half. Also it seems like there is no Blogger app on the App Store anymore! All these issues aside, I have also decided to quit doing that new year resolution thing anymore. I guess it doesn't work for me. I will just focus on yearly, monthly, weekly and daily goals. A step at a time works best. I am honestly excited to see what the new year holds for me, my family and this blog! My expectations for this year are numerous but I will just summarize it into one sentence. I want to have a peaceful and interesting experience in whatever I do, whether I fail or succeed. What are your expectations this year? Let me know in the comments section. Your blog is already looking amazing Naza, it's good you decided to step up your game...just keep up with the good work. One of my goals or expectation this year is to also start up a blog. Definitely going to subscribe to your blog to learn the tricks and get tips on my new venture. Happy new year. Looking forward to more of your posts. Thanks! That's a good idea. Post the link whenever you do. I would love to check it out! Hello Naza this is my first time here, and I love the design of your blog. It is beautiful. 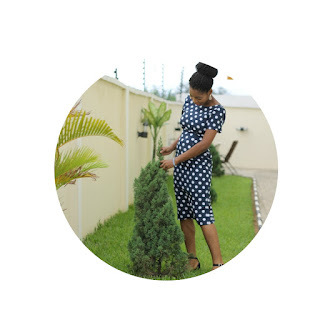 I have been using blogger for some months now, and honestly it's not been easy. I believe wordpress is easier to use than blogger, so I am surprised you left wordpress for blogger. I am right now in the process of switching to wordpress. Keep posting, you already have a follower in me.